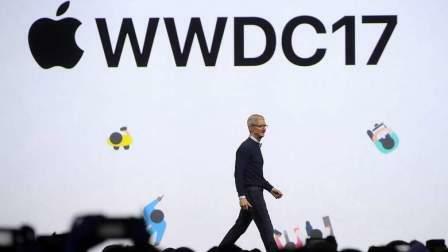 Apple on Monday launched a bunch of refinements in its all four platforms -- tvOS, watchOS, macOS and iOS -- at this years annual Worldwide Developers Conference (WWDC) with iOS 11, watchOS 4 and updates to its Mac line of desktops and notebooks. The event started with Apple CEO welcoming the audience at the 15th WWDC in San Jose, the heart of Silicon Valley where Apple is building its new campus. Before making the announcements, Cook said that this year "it is going to be the best and biggest WWDC ever." Cook also praised the Apple developer community which has 16 million registered developers and added three million last year. He also launched iOS 11 with over 10 new features. He said that iOS 10 had nearly 96 per cent satisfaction with 86 per cent iPhone users installing the update as compared to only seven per cent Android users who installed Android Nougat - the latest version of Google's operating system. He announced that Amazon's video app will come to Apple's TV streaming box later this year. The app will let users stream all the Amazon original hits. Soon after the announcement Amazon tweeted, "You asked (a lot). We listened. Amazon Prime Video is coming to the TV App and all Apple TVs this year." The Siri watchface uses machine learning to determine what information is most useful to you at a given point in time. Other new watchfaces include a kaleidoscope and new characters such as Woody, Jesse, and Buzz from the Toy Story movie franchise. WatchOS 4 will also bring updates to the watch's fitness tracking, including a new user interface for the workout app and new integrations with gym equipment manufacturers. Apple said that watch wearers will be able to link their devices with the gym equipment through NFC. Next up in tech is Apple's new version of macOS is called High Sierra which is launched with new Safari browser. Apple said that it is the fastest browser ever with features like autoplay blocking, intelligent tracking prevention that uses machine learning to block irritating content. Apple also brought file system and virtual reality (VR) to High Sierra. The tech titan also announced updates to its entire MacBook line giving its laptops more powerful specifications in the form of the latest Intel chips. MacBook Pros will be shipped with Intel's Kaby Lake processors and faster SSDs. The company also launched a new configuration of the 13-inch MacBook Pro without a Touch Bar that starts at a cheaper $1,299. The newly updated MacBook laptops are now available. Apple also showed a sneak peek into a new all-in-one desktop called the iMac Pro. Called as "the most powerful Mac ever, the new product will be available from December starting at $4,999. The new machine will come with an 8-core Xeon processor, with configurations that scale up to an 18-core Xeon processor and an all-new AMD Radeon Vega graphics GPU, up to 16GB of VRAM and up to 4TB for SSD storage. Apple also made improvements to Siri including making the assistant's voice sound more natural when responding to users. Siri will now be able to perform translations in various languages including English, Chinese, French, German, Italian and Spanish.